When it comes to natural healing for your dog, you can’t go wrong with mushrooms. I use mushrooms for dogs in my practice all the time. I’ve seen some amazing results using mushrooms as a natural remedy for many different health issues. I mean everything from regulating blood pressure to treating cancer. There’s not any one plant that can do as much as a mushroom can. In short, they’re miracle plants. Have you heard about these phenomenal fungi and how they can help your dog? There are a lot of different kinds of mushrooms. Not all of them are medicinal but most of the ones that can be eaten do have medicinal properties. I’ve seen some amazing results using mushrooms as a natural remedy for many different health issues. In many places aroun the world, mushrooms are used as food, medicine and as parts of various types of cultural ceremonies. And just as they’re great for us, they’re great for our dogs as well. Reishi, Shiitake, Maitake, Turkey Tail and Cordyceps: I consider these the power mushrooms. Research shows they can improve immune system function and have a wide range of other important health benefits for your dog. And they’re very social – they work really well together. You can combine them to get the different benefits and support the healing properties of each one. Reishi mushrooms are known as the mushrooms of immortality. They have anti-tumor effects, anti-inflammatory, anti-viral and immune-stimulating properties. This makes them great for boosting overall health. Research shows they can help relieve pain as well. [Related] How do you find the best reishi mushrooms? Find out here. Shiitake mushrooms have 30 different enzymes and 10 amino acids. They also have minerals like calcium, zinc, magnesium, iron and selenium. And that makes them really impressive when it comes to your dog’s health (and your own for that matter). They stimulate white blood cells and improve circulation. They can also inhibit tumor growth and lower cholesterol. Reishi, Shiitake, Maitake, Turkey Tail and Cordyceps: I consider these the power mushrooms. 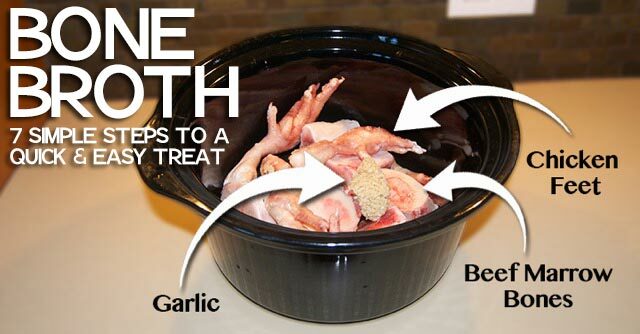 Make this broth for your dog and feed it during or after a fast, or if your dog isn’t eating well. Give your dog 1 tsp to a tablespoon every few hours when they’re not eating. Maitake means “dancing mushroom” in Japanese. These mushrooms are known to stimulate t-cells, inhibit tumor growth and lower cholesterol. Turkey tail mushrooms are full of beta-glucan polysaccharides. These are the essential sugars in the body that aid in activating the immune system. This can help protect the body from infection and fight off disease. Studies show that cordyceps mushrooms have impressive antitumor properties. They can protect against liver and heart disease as well. A recent study done by the Veterinary School at the University of Penn State looked at dogs with hemangiosarcoma. This is a common cancer found almost exclusively in dogs. Dogs treated with a compound derived from the turkey tail mushroom had the longest survival times ever reported for dogs with the disease. [Related] Want to fight back against cancer? Here are 3 herbs to add to your dog’s diet right now. Wild cordyceps mushrooms actually grow on caterpillars. This makes them really expensive to harvest. Luckily, they’re also cultivated by growers. Although cultivated mushrooms may not be quite as potent as wild ones, they’re way more wallet friendly. Cordyceps have antifungal and antibacterial properties. 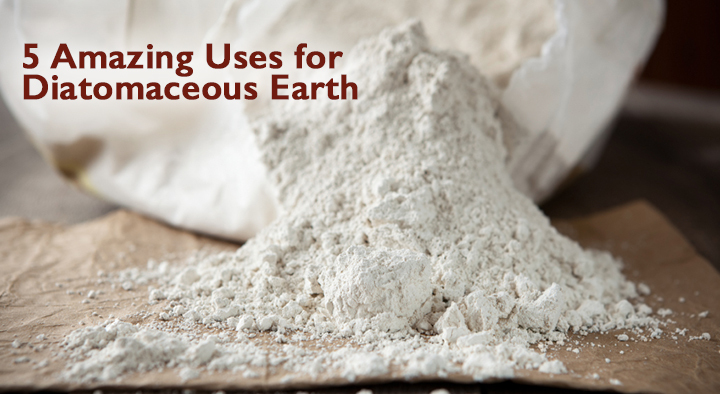 They also have three protein-bound polysaccharides and several amino acids. To give your dog mushrooms, you can easily make a tea or broth using dried mushrooms or add powder to their food. If you do want to give your dog whole mushrooms, it’s best to cook them thoroughly. Raw mushrooms can be really hard for your dog to digest and they may be toxic. They’re safe when cooked. If you buy mushrooms in powdered or capsule form, follow the directions on the package. If the product is for humans, assume the dosage instructions are for a 150 lb person. Adjust the amount according to your dog’s weight. Start with a lower dose and work up gradually to avoid any digestive upset. Here’s just one example of how to use the power players together. If your dog’s liver is weakened or if she suffers from liver disease, this mushroom mix can help support the liver. Give your dog ½ ml per 5 lbs of body weight twice daily. Some people are nervous to use mushrooms for dogs. A lot of this fear comes from the potential for wild mushrooms to be toxic. But there’s no need to fear these fantastic fungi. Buy organic from a reputable source and see how great they are for your dog’s health. ** This article is adapted from Dr Ihor Basko’s presentation at Raw Roundup 2018. For more info on Raw Roundup, check this out. Ihor Basko DVM CVA received his DVM degree from Michigan State University in 1971, with special interests in cardiology, orthopedic surgery and internal medicine. His early years in veterinary medicine were spent working in a busy emergency animal hospital in California. In 1971, he participated in the first ever acupuncture study to test the efficacy of holistic modalities on physical ailments in pets (at UCLA). Since then, Dr. Basko has been devoted to the study and practice of acupuncture, herbal medicine, dietary therapy, homeopathy, massage, and other alternative therapies for animals. Dr Basko is a leading authority on holistic animal health and a founder of the Veterinary Botanical Medical Association. He lectures to veterinarians, trainers and animal caretakers, has been published in many magazines, books and journals, appeared on TV and radio and has partnered with supplement company Genesis Resources in the development of an herbal and mineral line of products for pets.